Lunch time is very precious especially to working professionals; however, sometimes it is just impossible to get a decent parking spot during lunch hours which are typically from 12 noon to about 2pm. To solve this problem (for the next few days, at least), Uber Kuala Lumpur is offering you a solution. 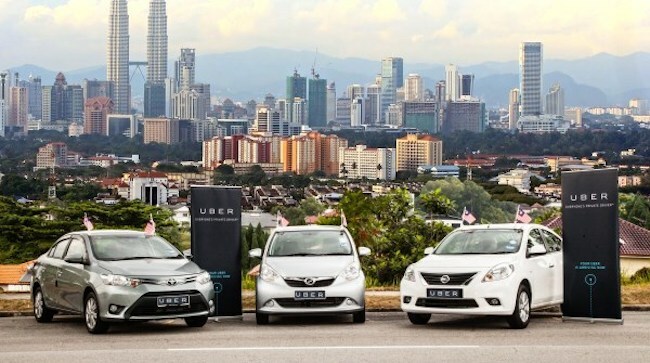 Starting from today, until this Friday June 12, Uber users in Kuala Lumpur can enjoy free rides of up to RM25. Before you head out for lunch, be sure to key in the promotional code UBERINGMYLUNCH in the promo code section when you request for an Uber. The promo code can be used for an unlimited amount of times but there is a catch, it can only be used from 12pm to 3pm. Now you have a great plan to escape your office for lunch and be back in time to look busy in front of your boss! The app is currently available on Android and iOS devices.